Toddlers know what they want when they see it! And we know from experience that they are serious about their blankets and comforters. Surprise them today with some awesome patterns and designs from our toddler bedding store. You will be sure to find hundreds of bedding gift ideas for the toddler in your life. Toddler bedding makes for a great kids birthday party present. All bedding has been hand selected by our staff just for toddlers aged one through three years old. 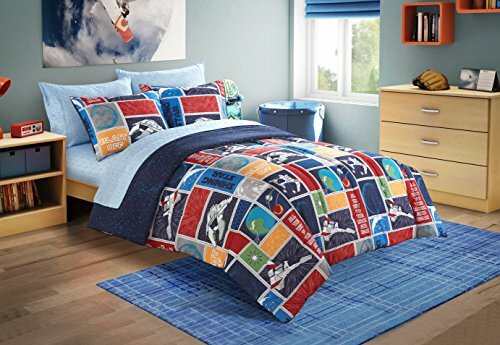 This outer space and rocket ship bedding set is too cute to pass up. 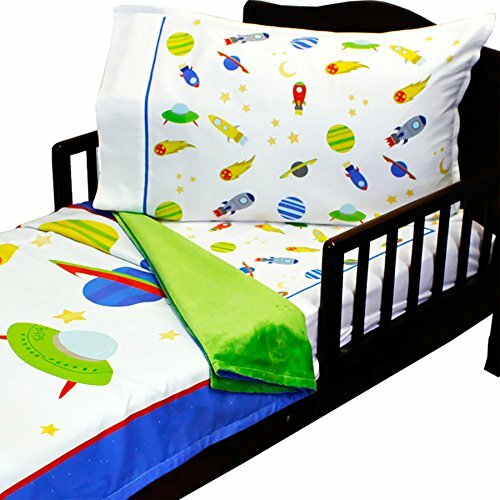 Your little one will comfortably blast off to dreamland with this bedding set. Is your toddler a little engineer? Choo-choo! 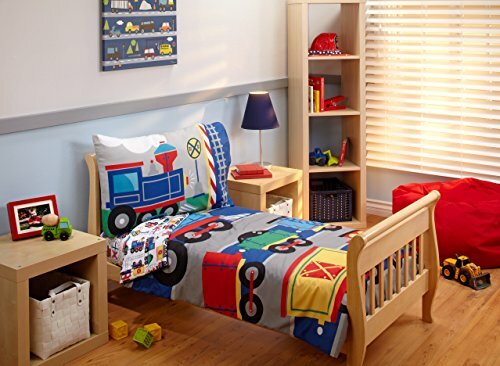 This bedding set is the perfect gift for a little boy who loves trains. He is sure to love the bright and fun pattern. The comforter is 55% Cotton / 45 percent polyester microfiber with 100 percent polyester fiber filling (180TC). Just keep swimming! 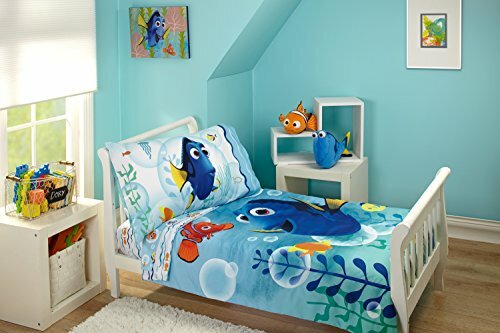 Buy your little one this adorable Finding Dory bedding set to ensure they swim off to sleep with ease every night. 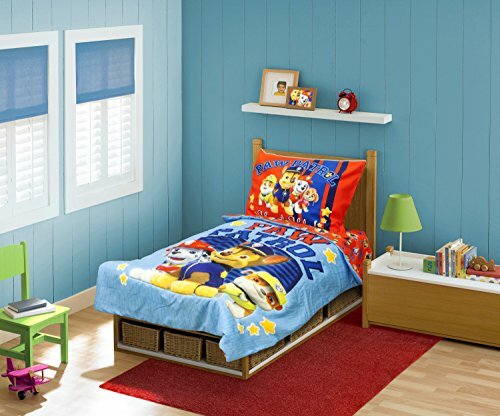 This PAW Patrol bed will make your child’s friends so jealous! 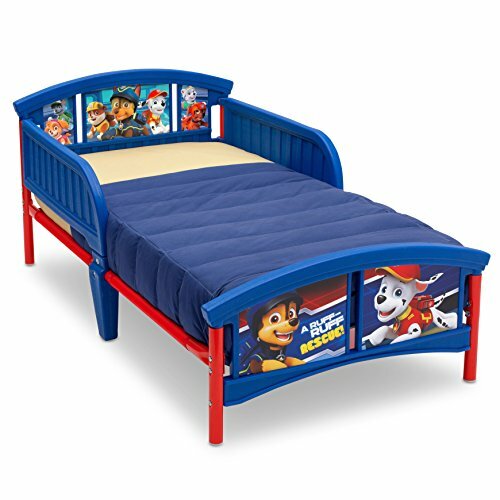 Every kid is obsessed with this show, so spoil your child with this unique bed. This is quite possibly the happiest little bedding to exist! 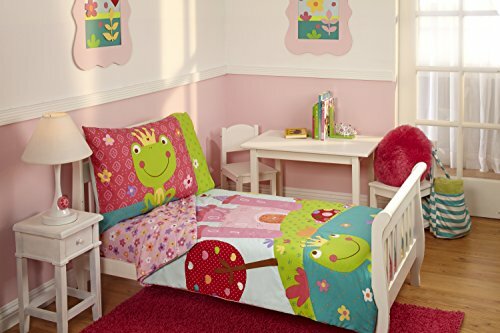 Your little girl will love going to sleep at night covered in flowers and cute woodland creatures. Tuck your toddler in with their favorite puppy characters from Paw Patrol. 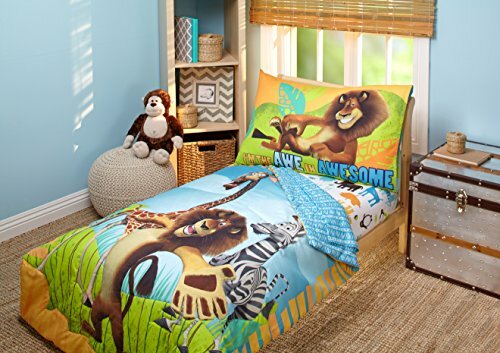 This bed set makes for a great gift for toddlers who love puppies. The perfect gift for a toddler who loves the puppies of Paw Patrol. The reversible design is great for little ones who are always changing their minds. 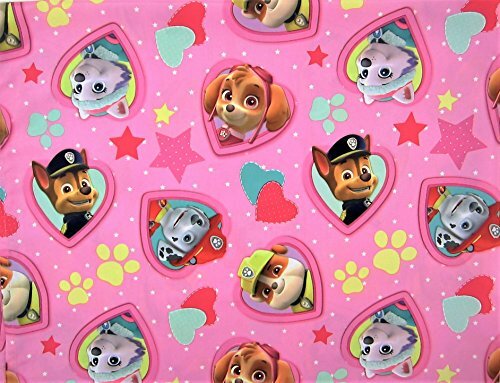 Match your Skye Paw Patrol comforter with an adorable and comfortable matching flat sheet! This will complete your little girl’s bedding set. Know of a little girl who loves Paw Patrol, or puppies in general? 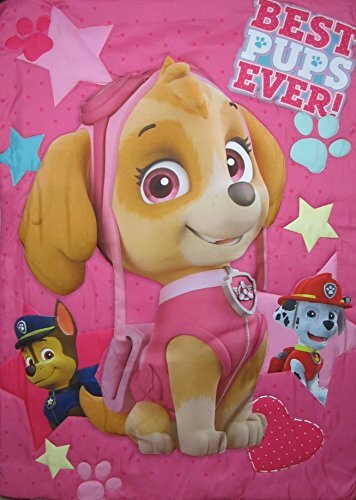 This comforter, featuring Skye from Paw Patrol, is the best gift for a toddler girl. One of the most adorable ways for your toddler to drift off into dreamland–wrapped up in this 4-piece starry night bedding set. Have a little astronaut in the family? 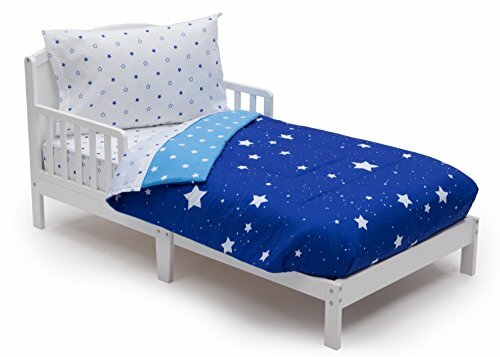 This space stars toddler bedding set makes the perfect gift for any little one who love outer space and the stars. She’s sure to feel like she’s waking up in a fairytale every day with this bedding set. 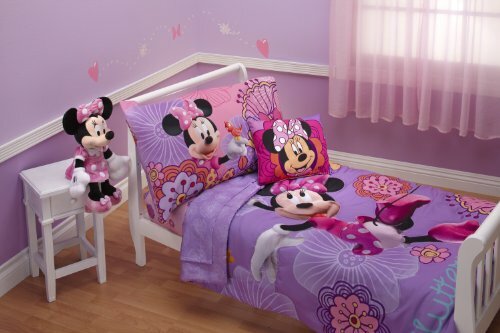 This 4-piece set is the perfect gift for any little princess. 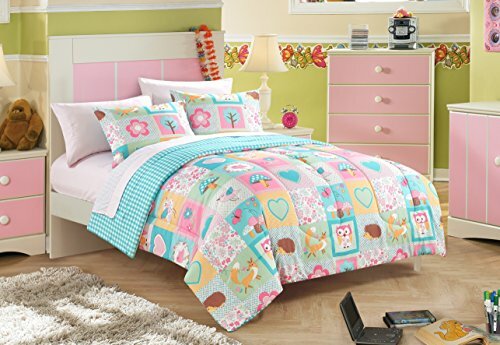 This bedding will look adorable in any little toddler girl’s bedroom, with pink and turquoise designs, trees, and cute woodland creatures.